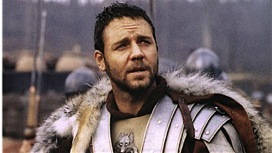 Russell Crowe has put on a few since his Gladiator days. Even so, Showtime’s announcement Monday that he’ll playing Roger Ailes in a limited series came as a distinct but nonetheless intriguing surprise. Crowe, no doubt with the aid of some prosthetics, will be the principal star of an eight-part limited series based on the bestselling book The Loudest Voice in the Room by Gabriel Sherman. 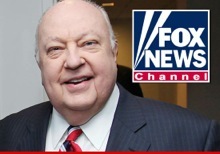 Ailes, the founder of Fox News Channel, died in May of last year at age 77 after resigning from FNC in the midst of multiple allegations of sexual misconduct. Ailes’ “Fair and Balanced” mantra for FNC became both mocked and embraced during the network’s steady climb to the top of the cable news ratings heap. The network in fact is a conservative force and latter day fervent supporter of President Trump, for whom Ailes briefly became an advisor before his death. The principal executive producers are Jason Blum (Whiplash, Get Out) and Tom McCarthy, who won a Best Original Screenplay Oscar for 2015’s Best Picture winner, Spotlight. Crowe, 54, has three Oscar nominations for his acting, including a win for Gladiator, which made him an international star and occasionally tabloid fodder for a series of off-screen escapades tied to a volatile temper that seemingly has since been tamed. This will be Crowe’s first role in a U.S. television series. Showtime does not have a firm title yet, or an air date.